Now that the dust has settled and the sparkle of the iPad launch has had a chance to wear off, we can step back and take a look at what this shiny new toy really means for technology and the world of computing. We’ve covered the compelling data already being gathered that shows the iPad is siphoning off a chunk of the computer market, that businesses are adopting the iPad as a handy tool for enterprise and that Apple is producing the iPad in mass quantities on TechnoBuffalo already. What’s the secret to Apple’s success? 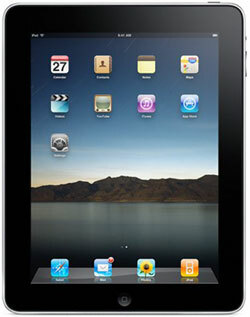 I’d make the case that Apple has found a way, using the iPad, to eliminate the fear factor from technology. Sure geeks and early adopters think of technology as their playground, but to a large part of the population, technology is a scary place. It changes so quickly it can cause people and businesses to feel left behind. Add in the human error factor – think of all the times your aunt has sent you virus infested files via email, then think of all the people out there who don’t know how to install virus protection, or even what it is – and you begin to see the problem. Then along comes Apple, with this attractive, simple, lightweight, affordable iPad – a computer for your lap that isn’t awkward like a laptop. A way to kill time in waiting rooms, read in bed, share movies and other media easily. A practical object that uses like a toy and looks like a centerpiece. By the time the average non-geek picks it up and says “What’s this?” they are already playing with it. Apple managed to build a device that works like a computer, without overwhelming, without making it feel like work to learn. Genius. For business, the walled garden aspect of the iPad is ideal. By creating a controlled application environment that has a visual, tactile navigation and simple closed interface for the user, Apple also created a device that IT departments can love, that business travelers can take along for the ride to handle email and do presentations without worrying about the weight and space of regular laptops. They made a device with plenty of client demo possibilities as well, both in and out of the office. IPads are making it easy to get and stay connected for older generations that feel technology passed them by or that felt keyboards were too small for arthritic hands to use. They are bringing recipes to the kitchen, movies to the entire house, sheet music to the piano player whenever they want, wherever they play. This universal connection and ease of use is typical of Apple, and bringing it to the masses they way they have should be applauded. 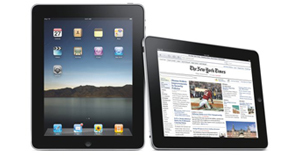 iPads are bringing back a sense of joy in new technology. That’s something that has been missing for a long time.